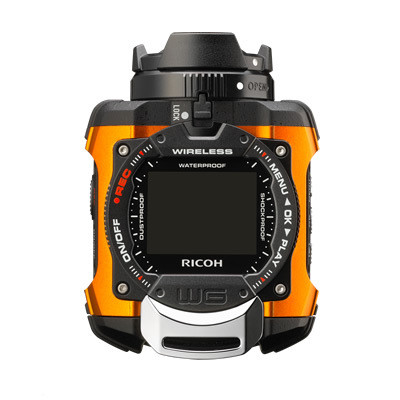 Exclusive application software “WG-M1 LE” for “RICOH WG-M1” compatible with devices with iOS 9.0 - 9.2 was released. 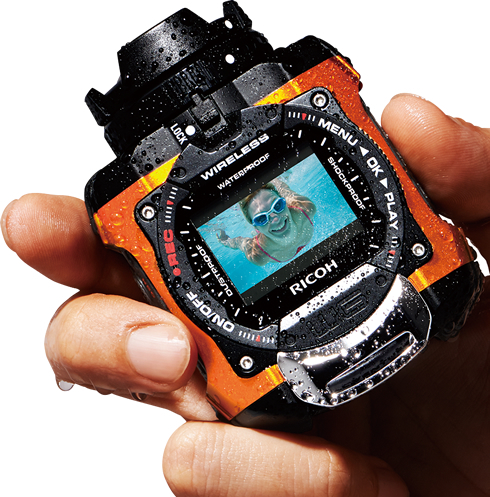 *Although this camera is provided with a waterproof design equivalent to IP68, waterproof performance is not garanteed against all level of water pressure. 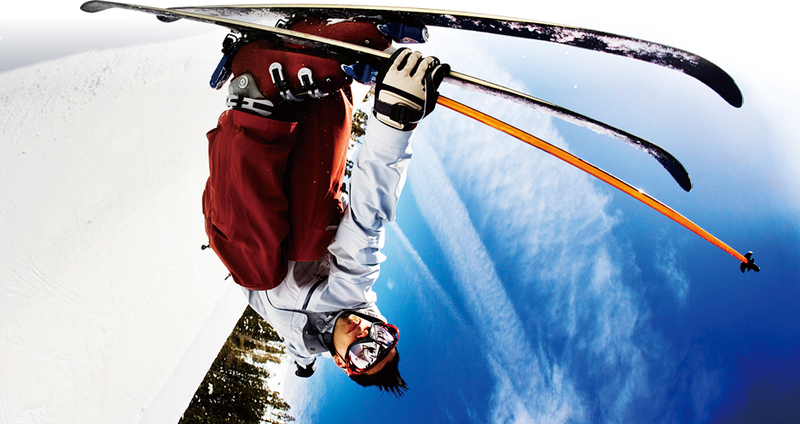 Excessive force to the camera such as dropping, hitting, or high pressure may cause a loss in waterproof performance. The WG-M1’s LCD monitor lets you review recorded movies on the spot, while its ideal position facilitates image framing. 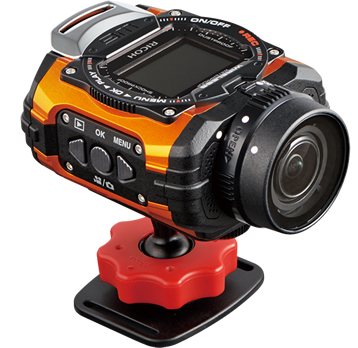 The WG-M1’s large control buttons provide easy access and flawless operation, even when wearing gloves. [Capture], [Playback] and [Image Transfer] become possible from the device. The saved image can be displayed not only by capture order but also by the date of capture. *There is no [Edit] function with this new application. *The images saved in the previous application [WG-M1] cannot be viewed with the new application [WG-M1 LE]. The images saved in the previous application will be deleted when the previous application is uninstalled. To solve each case, save the images on your camera roll. 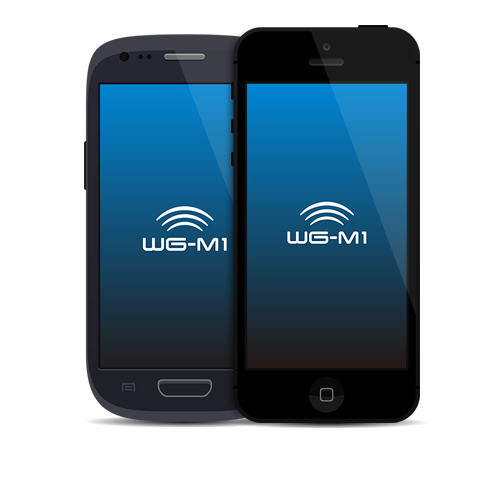 *Customers using devices with iOS version earlier than 9.0, and Android version earlier than 5.0 should continue to use the original application [WG-M1]. 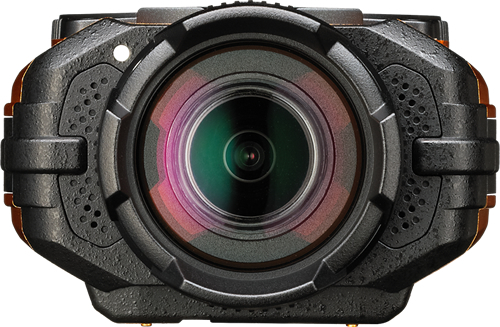 Equipped with a Wi-Fi module, the WG-M1 lets you control shooting, playback and editing functions from a distance using your smartphone. Just install the dedicated application, you can even share your movies and still images with friends on the Internet. * Downloadable for free from Google Play™ or the App Store. * Consult our website or your local customer support center for compatible iOS and Android™ operating systems.